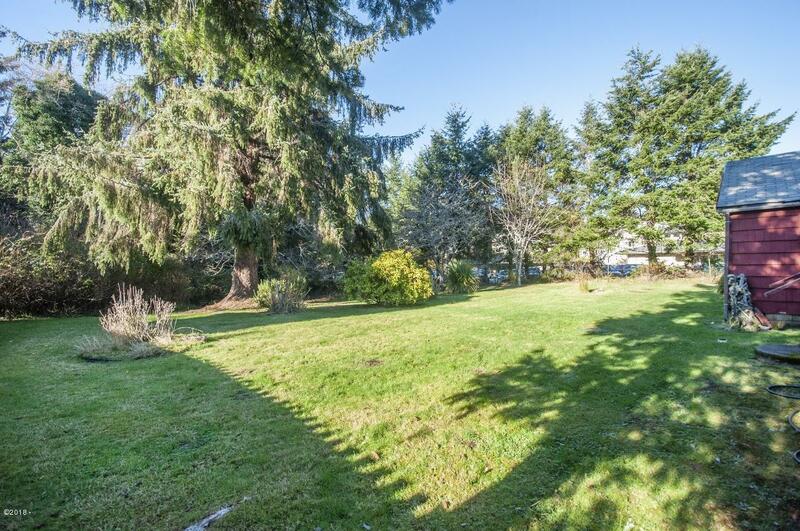 Sitting on nearly a half acre, this charming cottage is tucked behind mature landscaping with a large backyard, creating a private oasis. 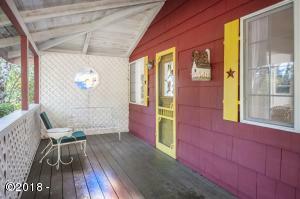 Enjoy the spacious covered front porch with custom stained glass front door. 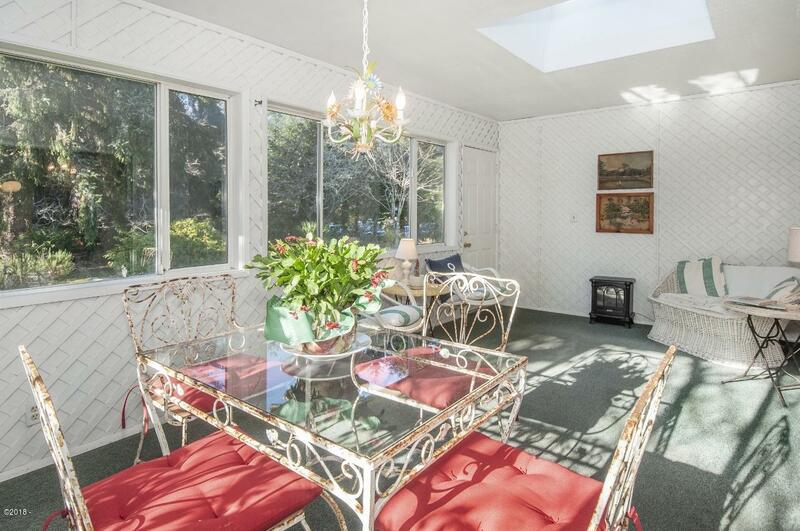 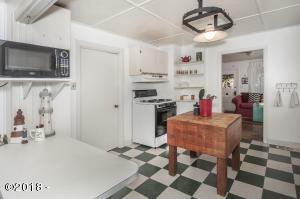 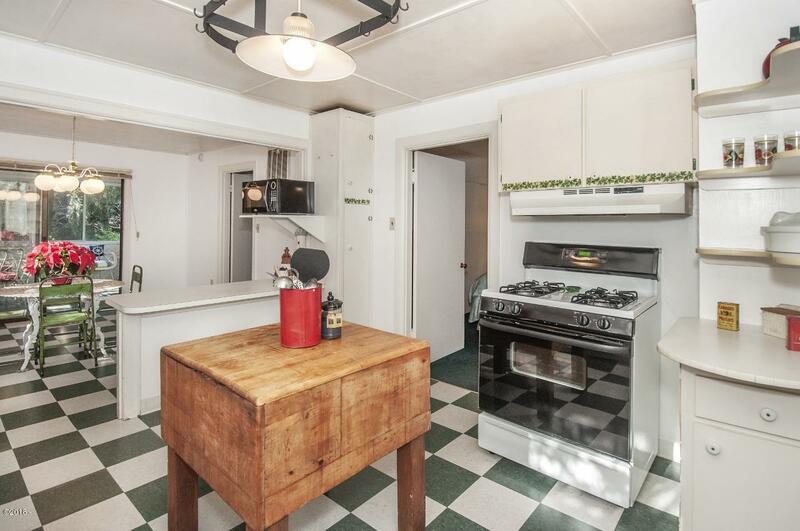 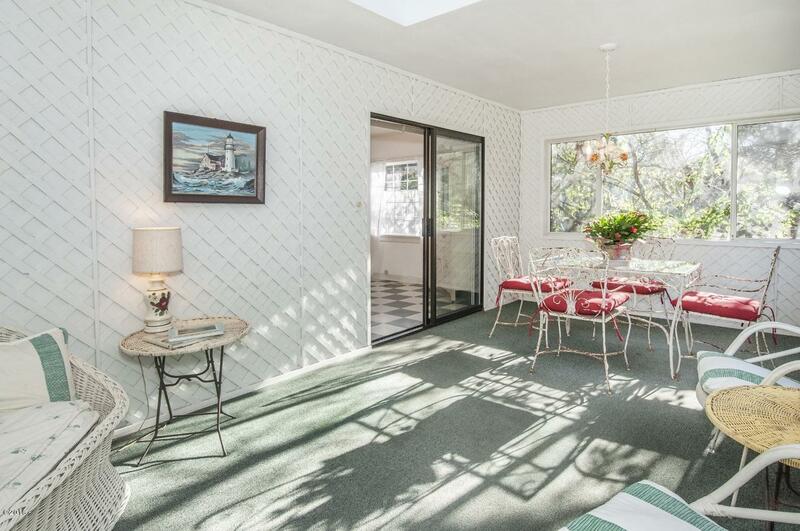 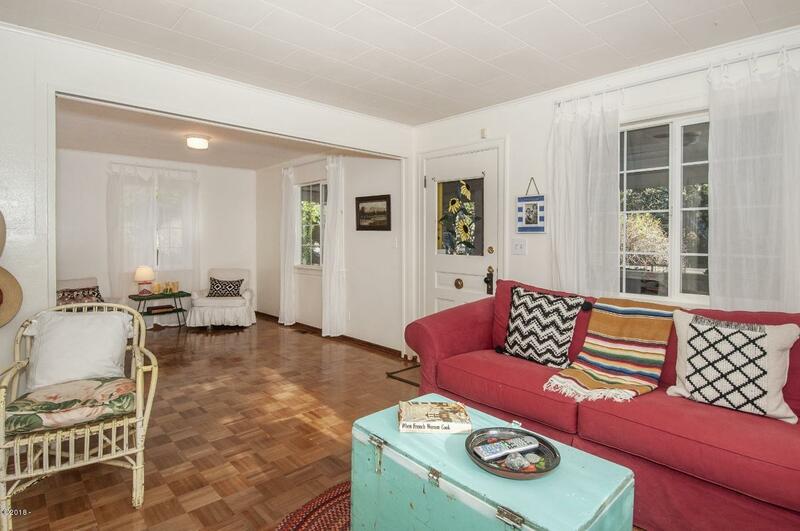 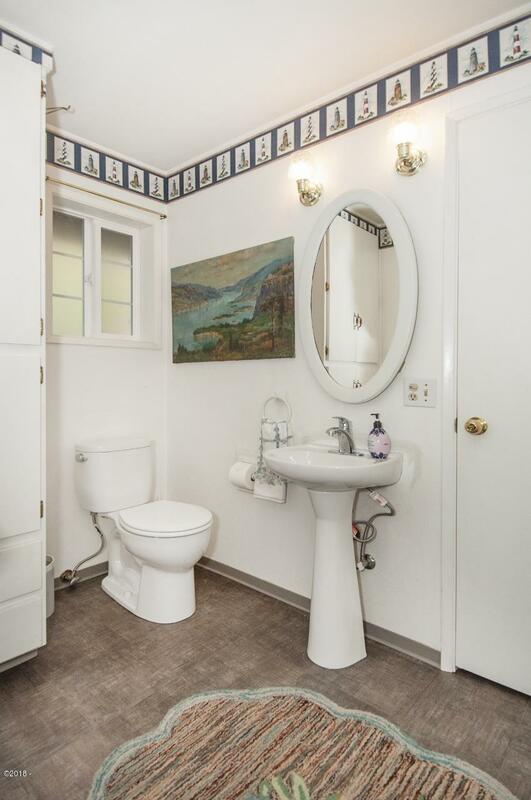 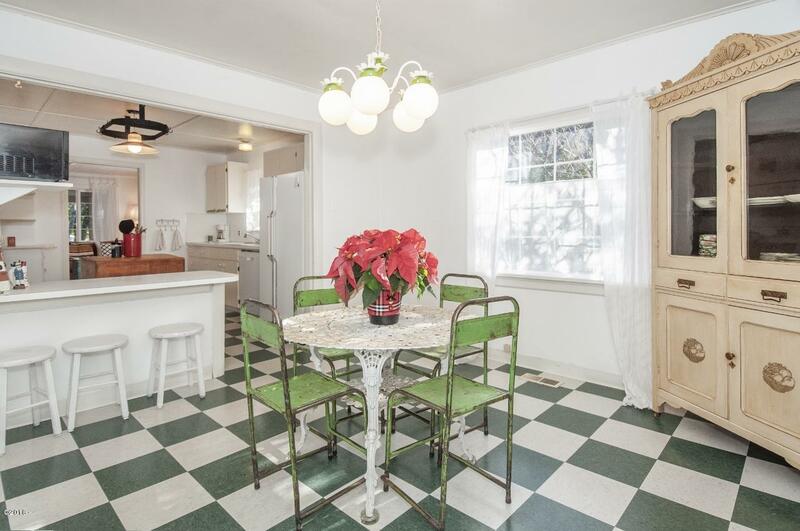 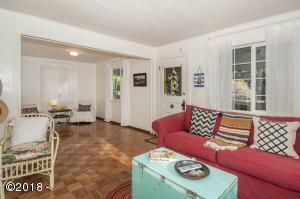 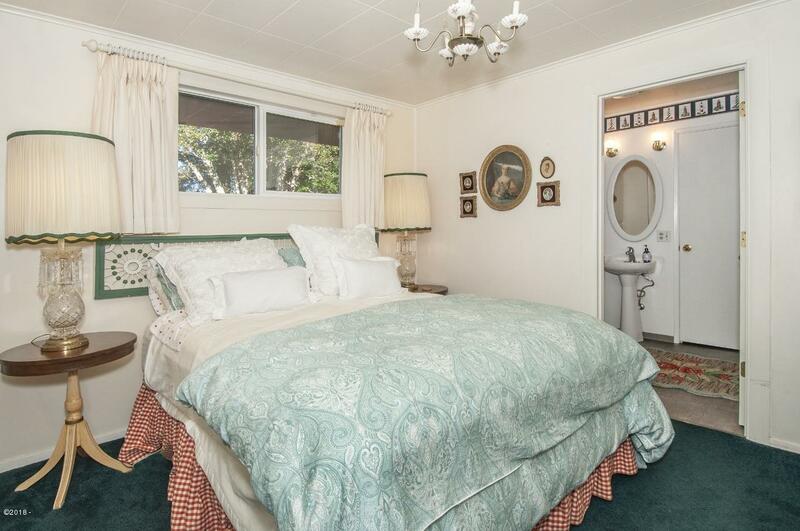 This two bed, one bath home lives much larger than 1492 SF. 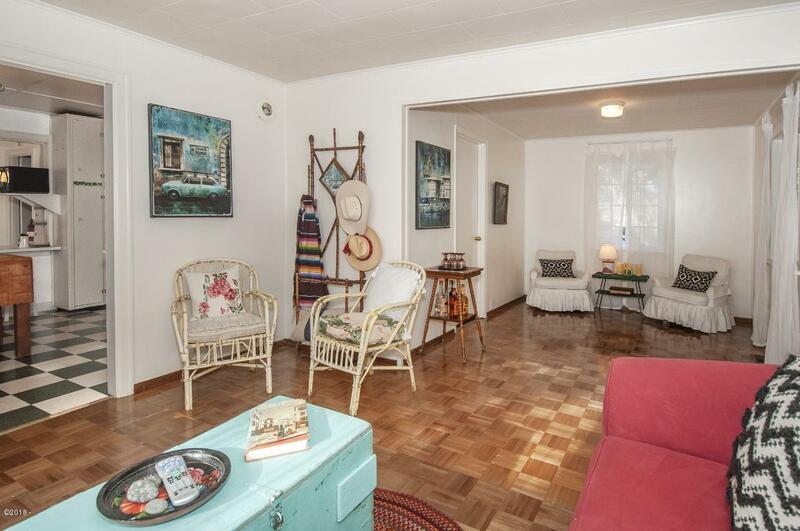 The main floor boasts a large living area that can easily be partitioned to create a 3rd bedroom or den. 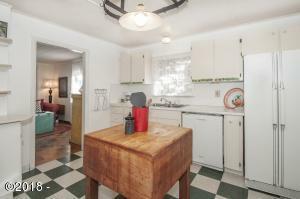 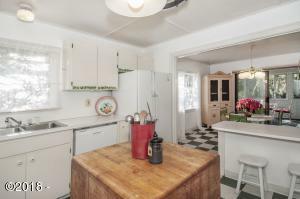 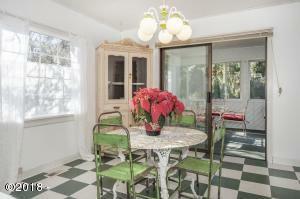 Efficient kitchen with breakfast bar and space for a dining table. 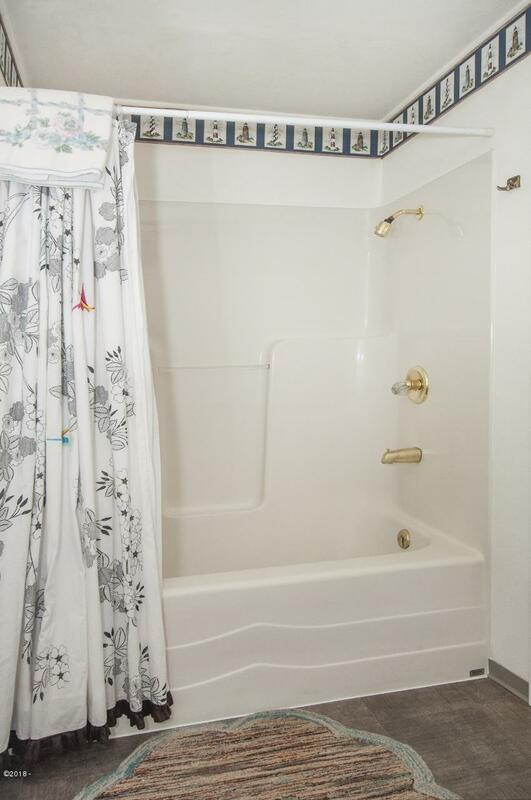 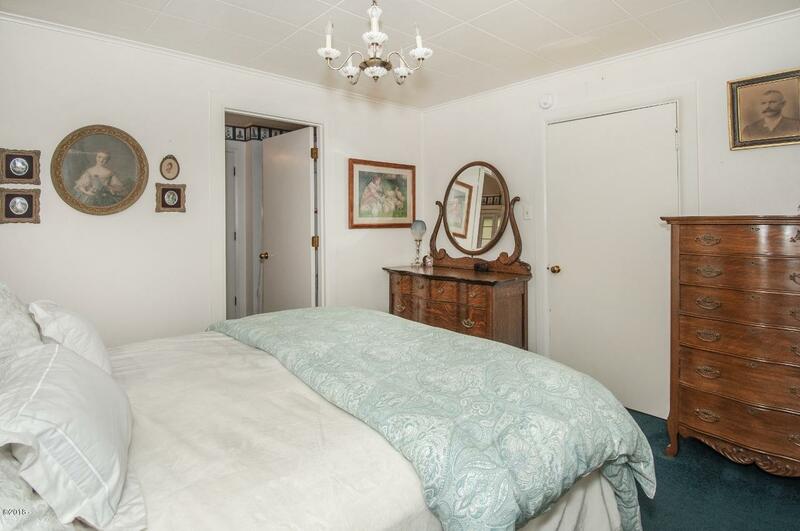 Master bedroom with updated bath is conveniently located off the kitchen and living room. 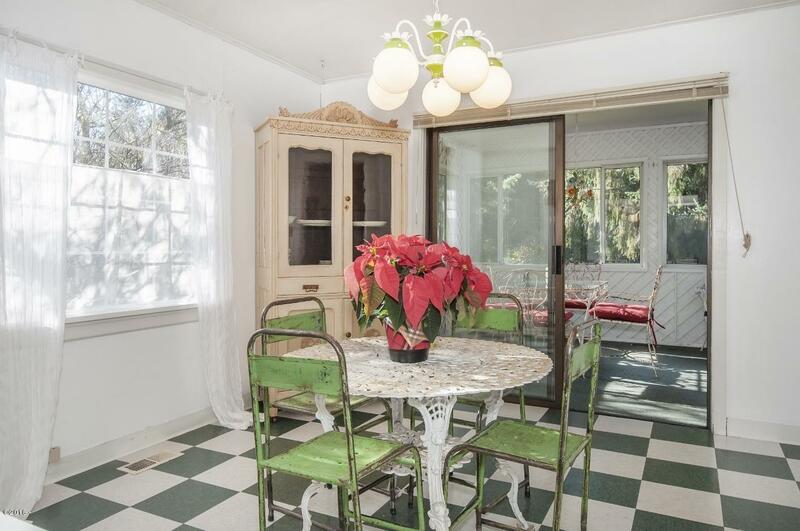 Enclosed sunroom for year-round enjoyment. 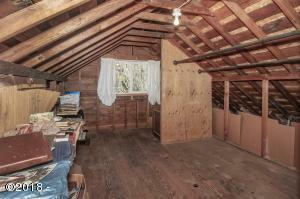 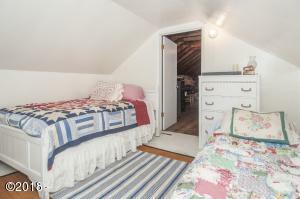 Upstairs offers a finished bedroom with access to unfinished attic, which could be finished for additional living space. 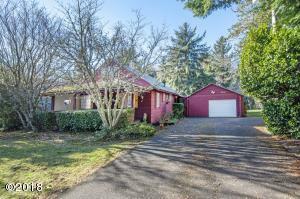 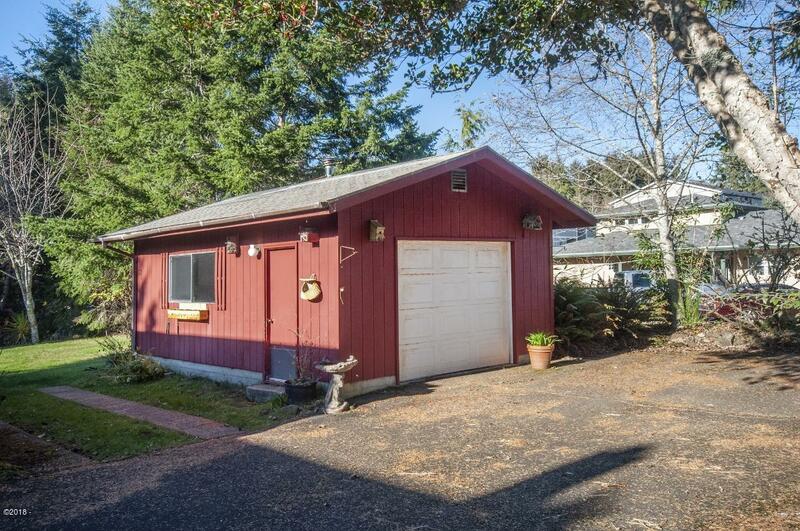 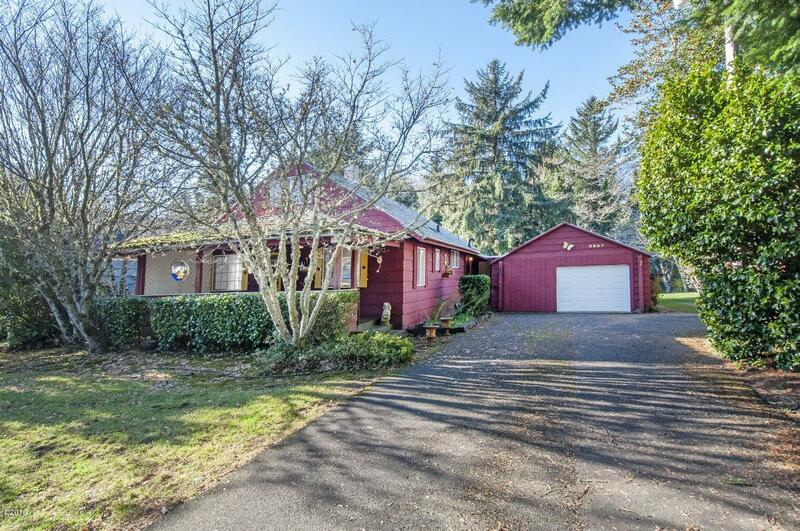 Two garages, loads of storage; great potential for expansion. 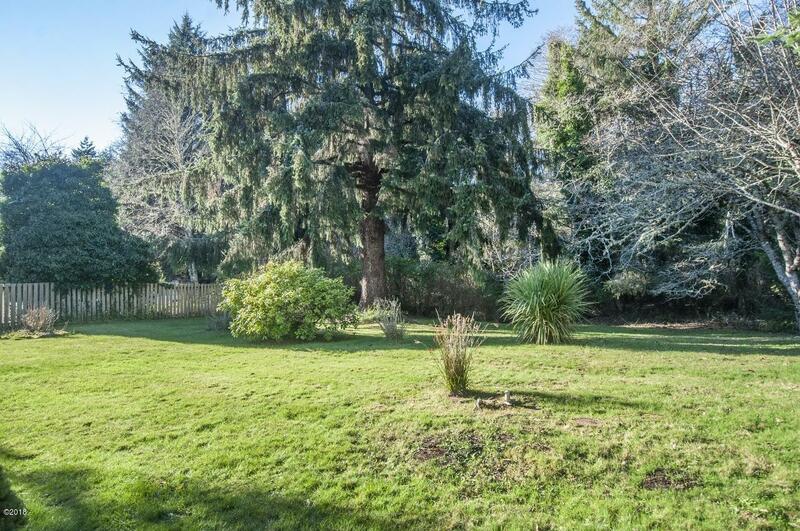 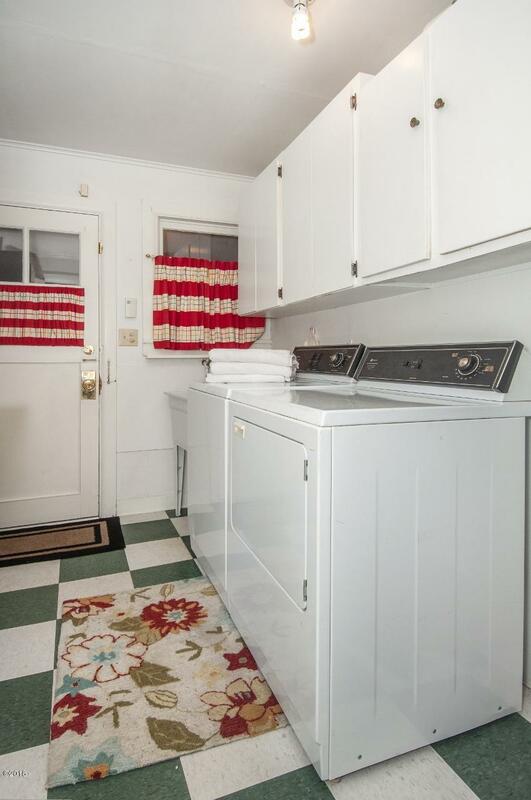 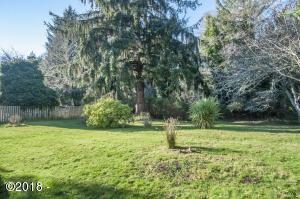 Ideal location across from hospital, near lake and beach! Directions From Highway 101, turn east on NE 22nd St, Left on NE West Devils Lake Rd to address on left. 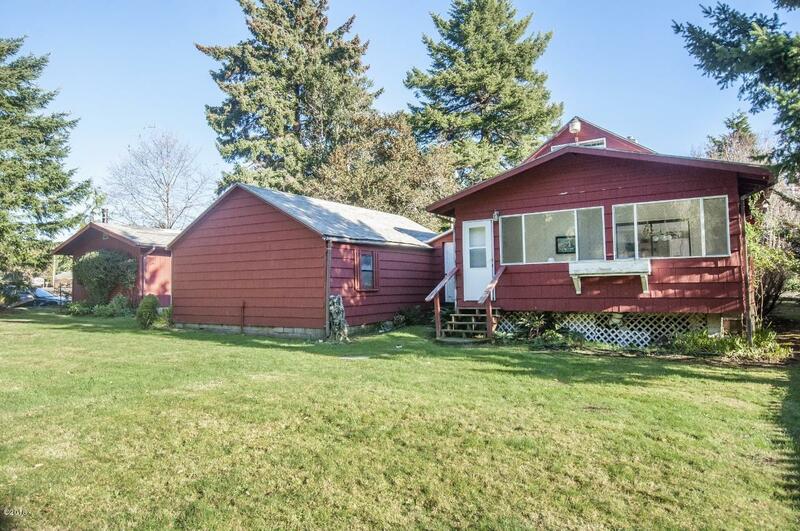 Red house.